International Women Associates is a Chicago cultural and educational organization whose members engage in cross-cultural exchange, community service, dialogue and friendship. By creating connections among people of diverse international backgrounds through our programs and with other organizations, IWA works toward a more just and peaceful world. Founded in 1978, IWA warmly welcomes new members, including international newcomers and expats and Chicago residents who have extensive international experience. New members are welcomed into a diverse group that respects all cultures, enjoys all personalities,considers all viewpoints, and fosters a network of deep friendships transcending cultural and national differences. 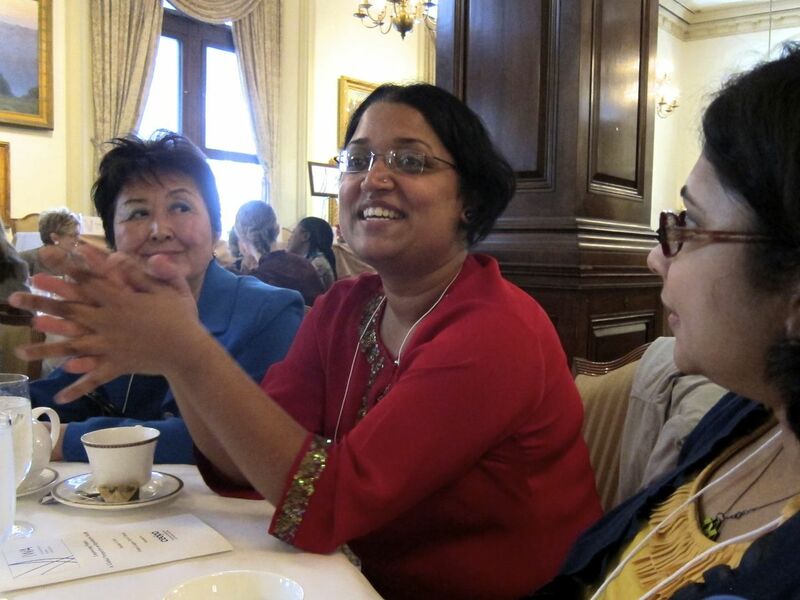 IWA is a unique gathering and learning place that connects women dedicated to the pursuit of global understanding and universal human rights. The membership is comprised of approximately 500 members from 60 countries. Their backgrounds include many different professions and diplomatic affiliations as well as experience and interest in international education, economics, and culture.